Hello Everyone, I have another quick post for you today! 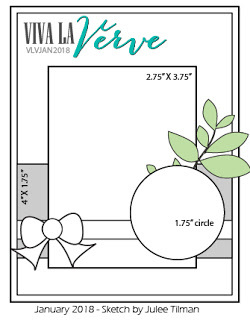 I have been eyeing the January Viva La Verve Sketch all month and have finally gotten a card completed for this challenge, and let me just say in the knick of time. Again I have used the Coffee set for Verve that I adore, although this time using the cup and saucer and that adorable spoon. I couldn’t agree more with that sentiment. I would not survive without my java! How ’bout you? You can’t tell in the photo, but I have glossy accents on the coffee and the spoon. This paper from Bo Bunny really was fun to work with. I used a bit of MFT and SU dies to complete my card. Categories: Cards | Tags: Card making, Cards, rubber stamps, sketch challenge, Verve Stamps | Permalink. 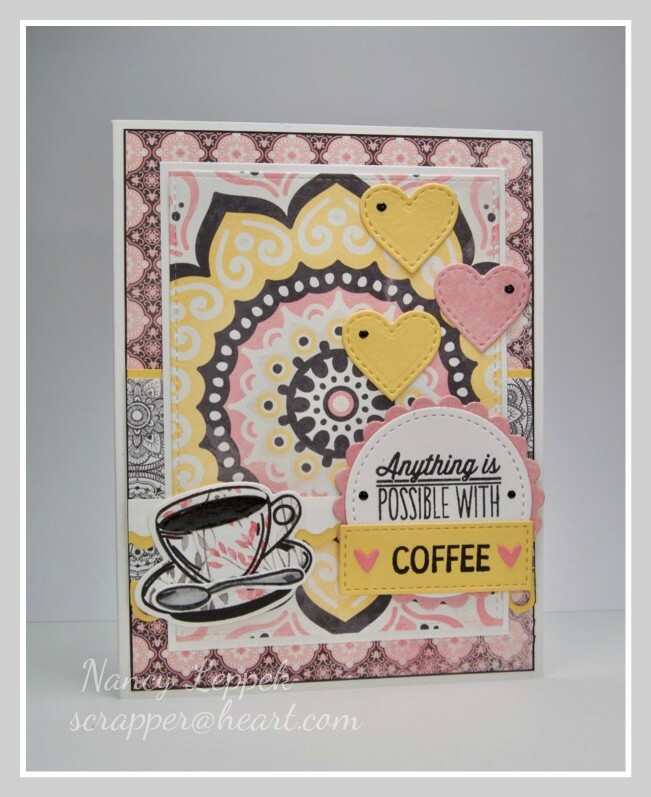 Gorgeous coffee design card with so many fabulous papers and layers. Very pretty card! Love that bold paper too! And as for coffee, I’ve never drank a cup! I can’t stand the taste, but love the aroma! My hubby and I never drink it, and we both come from families that survive on it! We are misfits I guess! LOL! How beautiful, Nancy! Love these colors, and of course the coffee! 🙂 So glad you could join us for Viva la Verve! This is just fabulous, Nancy! Love the colors and of course, the coffee!!! 🙂 So glad you could join us for Viva la Verve!